Title: 'Insula S. Laurentii, vulgo Madagascar'. 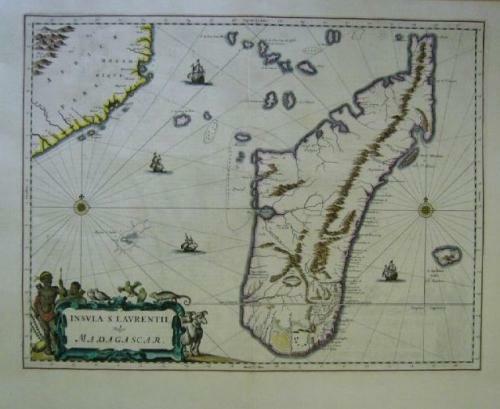 A beautiful engraved map of Madagascar with original hand-colouring, ships at sea and rhumb lines. The condition is very good with slightly browned margins.